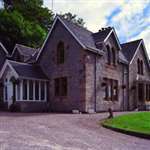 Innseagan House Hotel is situated on the banks of Loch Linnhe, a beautiful Highland loch with spectacular views of the surrounding mountains. High standards of comfort, service and creative Scottish breakfasts combine with the warmth of Highland hospitality to provide the ideal place in which to relax and enjoy the Scottish Highlands. Fort William is one of the most popular towns in the Scottish Highlands for hill-walking, skiing, mountaineering, cyling and fishing. Ben Nevis, the highest mountain in the UK, dominates the skyline to the north-east and Glencoe is a half-hour drive from Innseagan. There are boat trips to nearby Seal Island and nearby Ben Nevis provides an opportunity to enjoy a spectacular panoramic mountain view from the top station of the Gondola cablr car. Fort William is an excellent location for touring other parts of the highlands - many places are within a hours drive. Whilst the Isle of Skye is a pleasant day trip all year round. Loch Ness and Inverness are both found via a breathtaking drive through the Great Glen. All children are welcome. All children under 5 years stay free of charge when using existing bedding. One child under 2 years stays free of charge in a baby cot. Maximum capacity of babycots in a room is 1.